It was great to see and meet many of you at Coimbra, Portugal. The swimming venue and competition were very good. Strong appreciation and recognition goes to ICSD, LPDS, LOC members and interpreters, ANC officials, Coimbra Complex personnel, and the many volunteers for their time, cooperation, and successful work. Thank you. City of Coimbra, sponsors, and supporters — thank you. 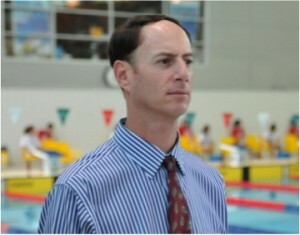 It was a large and fast swim meet. 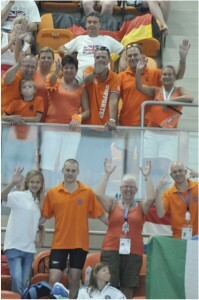 159 swimmers (99 men, 60 women) from 28 countries participated. There were nine (9) swimmers 14 years and younger. Swimmers broke 47 Championship records and 14 World records. Swimming competition was fierce, proving records can be broken without the fast suits. A group of seven (7) swimmers dominated the pool by scoring 257 points – placing top eight for individual events. For the first time at WDSC, awards were given for individual and team performances. Retired Deaflympians Ricardo (Portugal) and CindyLu (Australia) presented the donated awards to a thunderous crowd at the Gala dinner. Thank you to 14 former swimmers & three associations who contributed funds for the awards. An historical event occurred on the 3rd day of competition. 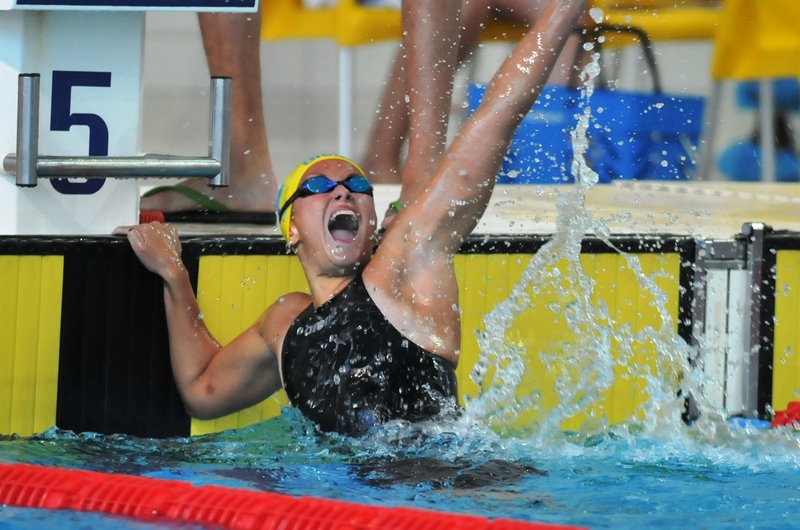 There were four medal winners in one individual event, Women 50m Butterfly. Two (2) swimmers tied first (1st) at 29.77 and two (2) swimmers tied third (3rd) at 30.11. What an exciting rare moment it was. Another historical moment was the Women 200m Backstroke, I knew and swam with the broken world record holder at the Koln 1981 World Games for the Deaf – thirty (30) years ago. On the 5th day, a group picture was taken of us who swam previous CISS/ICSD events, approximately 20 alumni dating back to the Helsinki 1961 International Games of the Deaf. It was nice catching up with former swimmers. 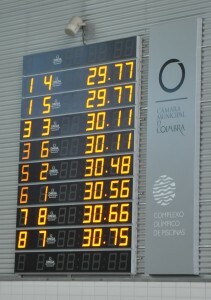 Official results, medal winners, record breakers can be found via ICSD and 2011 WDSC websites. Congratulations to all swimmers who trained, raced, and improved their best times. 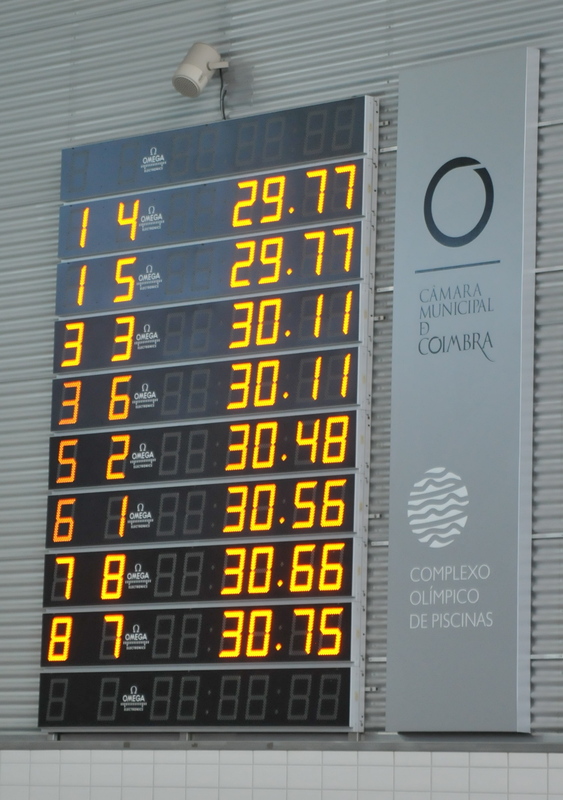 At Technical Meetings in Coimbra, members agreed to minor modifications in future swimming regulations, competition format, and qualifying times. There was strong interest from several countries to host future events. Please communicate, work together, and follow up with host bids. Swimming continues to grow, become stronger and faster. Train and plan well. See again next year or two years at the 2013 Summer Deaflympics. One of the 14 World record finishes. 47 Championship records were broken. It was a large and fast meet. Many fans came! A rare occurrence, two ties in one event. Dieser Beitrag wurde unter ICSD Swimming, Records, World Deaf Swimming Championships veröffentlicht. Setze ein Lesezeichen auf den Permalink.